The Complete Care Bundle is your all-around support to makes sure your health is in check and your body feels great. A blend of natural adaptogens, herbs, and vitamins, it’s like zen in a bottle. You’ll feel focused, calm, and ready to handle anything that comes your way. You can enjoy it during the day to reduce the effects of stress or at night for a better night's sleep. Boost your immune system with powerful vitamins, natural herbs, adaptogens, and probiotics so you can feel great and stay healthy all year long. 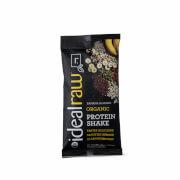 IdealRaw Probiotic provides you with beneficial bacteria that help your stomach get back on track. With over 40 billion CFUs from eight strains of the most popular and well-known probiotics, IdealRaw Probiotic offers a generous amount for overall gut health.